I founded The Clay and Glass Studio, at Ogbourne St. George near Marlborough, Wiltshire shortly after completing the Ceramics with Glass BA Course at High Wycombe in 1998. 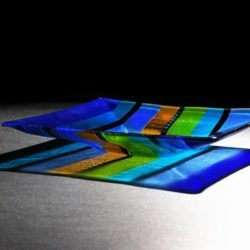 My passion is to create unique and individual glass art and I have been described as “a glass designer and maker of distinctive kiln-formed and stained glass, creating stunning glass forms that are both functional and decorative”. 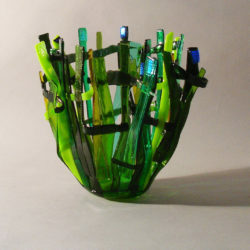 I use a variety of glass making techniques: hot glass, kiln-formed glass, stained glass, and all the methods used in ceramics. Having learnt them, I now enjoy passing on my experience to others. I run glass workshops and pottery classes for beginners and teach intermediate students in my studios throughout the year. In addition I am a regular tutor at the Marlborough College Summer School during July and early August.